The U.S. Food and Drug Administration (FDA) siad Friday it has approved Yondelis (trabectedin), a chemotherapy, for the treatment of liposarcoma and leiomyosarcoma, specific soft tissue sarcomas (STS), that are not able to be removed by surgery or are advanced (metastatic). The treatment is indicated for patients who have received chemotherapy that contained anthracycline. Liposarcoma and leiomyosarcoma are specific types of STS that occur in fat cells (liposarcoma) or smooth muscle cells (leiomyosarcoma). Yondelis was the subject of a random test of 518 clinical trial participants. 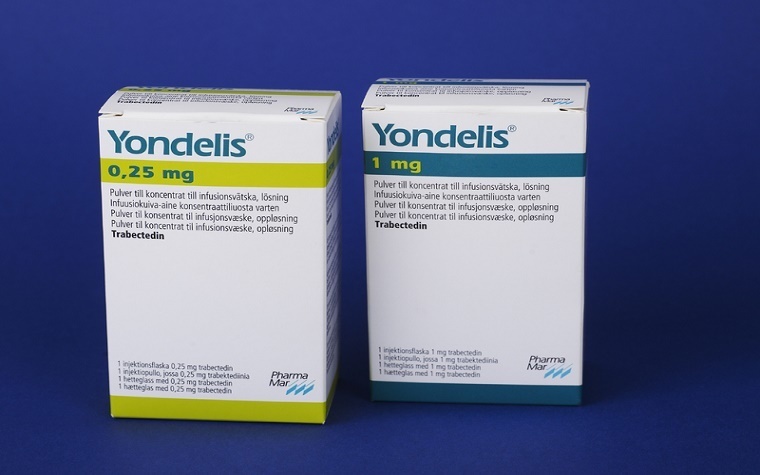 Yondelis carries risks of severe and fatal blood infections (neutropenic sepsis), muscle tissue breakdown (rhabdomyolysis), liver damage (hepatotoxicity), leakage around the vein or catheter (extravasation), tissue necrosis (breakdown) and heart failure (cardiomyopathy).